When it comes to Chanel, don't expect what is essentially a pop-up shop to be called something as #basic as a "pop-up shop." Nope, on Thursday Chanel celebrated the opening of an "ephemeral boutique" (thank you very much) in the Rocky Mountains' trendiest city, Aspen, Colorado. Calling forth the likes of "It" folks and fashionistas from Atlanta de Cadenet Taylor and Harley Viera-Newton to Derek Blasberg and Leigh Lezark, the Wild West-themed boutique is set to house the brand's memorable Métiers d’Art Paris-Dallas collection through July 6. The A-List opening, hosted by Chanel Inc. Fashion Division President, Barbara Cirkva, saw cowboy (and girl) gone chic, from boots and spurs to statement hats and bolero jackets. 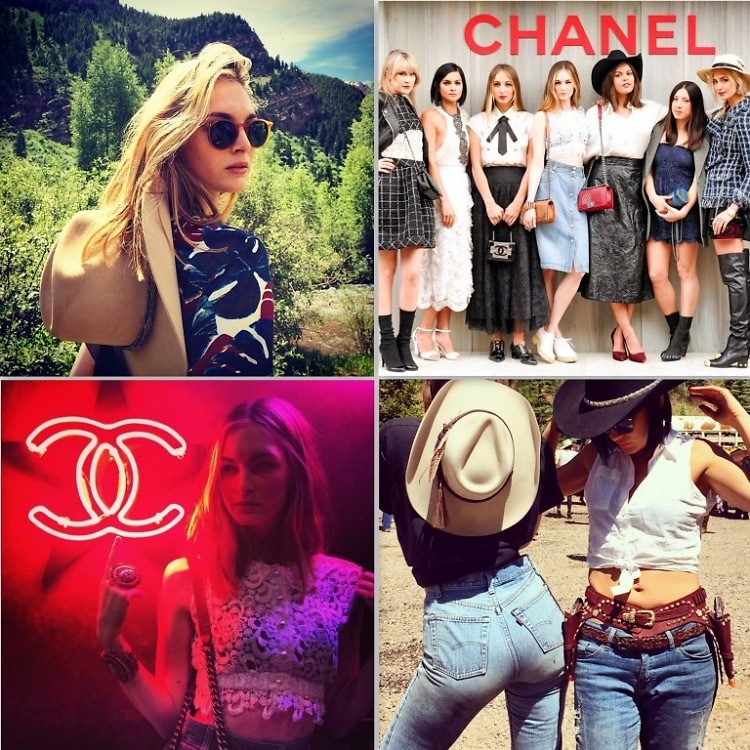 Click through for some of our favorite moments from Chanel Aspen as captured on Instagram.